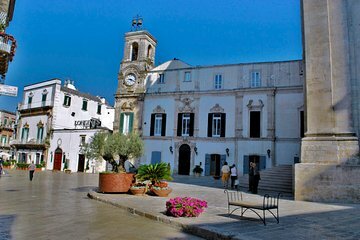 One of Puglia’s most scenic towns, Martina Franca is renowned for its baroque and rococo architecture. On this walking tour, see many of the town’s key highlights in just a couple hours, and learn the stories behind the landmarks from your guide. See the splendors of the Palazzo Ducale, wander the side streets of the old town, sightsee in the Piazza del Plebiscito, visit the Church of San Domenico, and more.